Kay J. 9/4/2015 - "This resort is awesometastic!!! I love the villas, the service and the food! I will surely come back!" Angelica Louise A. 6/24/2015 - "It was like a private getaway. I went there with my friends and we had so much fun, enjoying the sun and the beach. The owner is AMAZING, she's very hands-on on checking guest and providing our needs. And the resort is ideal for group activities and family reunions. Everyone is just friendly and very accommodating and we will likely go back there again. " Kian R. 7/23/2014 - "The Whale submarine was a great alternative for us as non-divers who wanted to go beyond snorkelling. It offers a boat transfer from the jetty in Male straight to its platform and fits around 50 people. The downside: Located in close proximity to Male's harbour, a lot of boat traffic occurs around the site and making it obviously not to have as much sea-life as we expected. The plus: driving in a submarine is already an experience in itself. The windows are big enough to capture fishes and corals from different angels." Kian R. 7/23/2014 - "One of just a few Southeast Asian restaurants in Male. 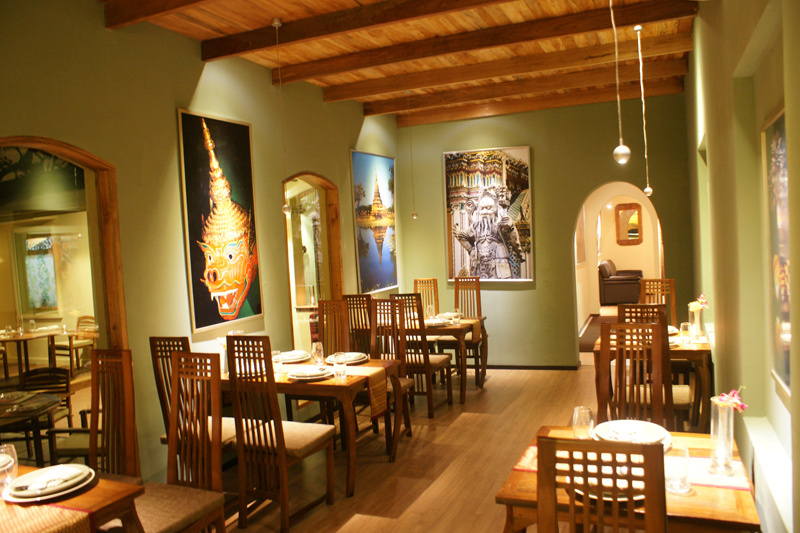 Cozy, Southeast Asian inspired ambiance blended with authentic Thai cuisine making it a popular spot among expats and tourists. The downside: prices are above the average of restaurants in Male. The plus: the restaurant is conveniently located in walking distance to the airport jetty. The taste is great and it was difficult for us to choose from the large variety of dishes." Kian R. 7/23/2014 - "Jumhoree Maidhaan, also known as Republic Square is located between the fish market and the main jetties. During the day you can see lots of locals and expats around, especially from India and Bangladesh. It has a few sitting options underneath a couple of trees, making it a perfect rest and relax area after some shopping, and an opportunity to watch people. Tip: avoid the area if you should hear of any demonstrations in Male. It didn't happen recently, but often in 2011/2012. " Lauretta J. 7/16/2014 - "This is a fairly easy hike accessible through the small community of Boetica on the south east of the island. It is easy walking for about 45 minutes with a lot of opportunities to stop and indulge in the breath taking view of the sea. Be prepared to get your feet wet! you do have to cross 1 or 2 streams on the way (A great way to refill your water bottles by the way!) 3 pools formed in volcanic rock gives you the perfect chance to 'soak up' some sea salt water which is awesome for curing cuts and bruises!! enjoy"
Lauretta J. 7/16/2014 - "Perfect place to go with a group of friends or that special someone for a refreshing bath (no soap needed :)) and soak. Sulphur has so many healing properties such as treating acne, relaxing muscles.. Take it from me.. you may only need one soak to experience your healing." Kay J. 6/26/2014 - "It takes about 40 minute tricycle ride to this 18th century Spanish lighthouse from Alibihod Crossing. The dusty road can be challenging, but it is definitely worth the trip. Climbing the now dilapidated, rusty, not well preserved lighthouse can be very dangerous. Those who dare can marvel at the breathtaking view of Nueva Valencia and the surrounding beaches. I would not recommend taking the risk though. The lighthouse does not look strong enough to hold weight and it could collapse anytime." Kay J. 6/18/2014 - "You could tell the landscape was given importance when this resort was made. It's lovely. Camp Alfredo was specifically made for vacationers to commune with nature and unleash their inner strength. It's a place where you get to meditate, take in the beauty of the surroundings, challenge yourself with the resort's exciting facilities, and before the end of the day, swim to your heart's desire. Alfredo, the owner himself made sure our stay at Camp Alfredo was truly an adventure. " Angelica Louise A. 6/13/2014 - "'If you have a strict budget but still want to experience the clear waters and white sand. Then Rico Beach Resort is for you. The place may not look like much but still the beach will pay it all off. Just don't expect anything from the resort just expect that the beach is surely worth it.' "
Angelica Louise A. 6/13/2014 - "'I like the place very much than I expected. Pine Haven has a calm and relaxing atmosphere where families or couples can enjoy their private escape from the busy streets. The Hotel is surrounded by different kinds of flowers that compliment the pathway to their small dining area and the rooms are just comfortable as the pictures look like. Though the road to the Hotel is a bit rough, it is still worth the visit.'" Angelica Louise A. 6/13/2014 - "'When they say adventure they really meant adventure because before you can reach the place you have to experience the highs and lows of the very rough road, walk to a small pathway alongside the mangroves to the small boat (during low tide that is but when it's high tide then you don't have to endure the long walk), and have to climb a few high steps to reach the resort and enjoy the spectacular view of the mountains and rivers. The beach is not that promising but staying there is worth every penny. And guess what, during low tides you can walk directly to the opposite island which is the Magic Island Resort and not just that on the other side of Cabugan Adventure Resort where the small boats usually docks there is a spot where you can swim with small fishes and enjoy the view of other small boats passing by and vast rivers and mountains. I would definitely go back to Cabugan Adventure Resort and again enjoy what the resort can offer. And by the way, the staffs there are very friendly and would treat you like family.'" Kay J. 6/12/2014 - "Shirven Hotel has spacious rooms and a huge lawn that's perfect for parties and romantic weddings. Staying at the hotel takes you to some place where you can relax and just listen to the birds and admire the life in the countryside. I like what they call their rooms - Citrus Splash, Mango Sweet, Guava Delight, and Pineapple Jam. Fely, one of their staff was so gracious to show us around. I would surely recommend Shirven Hotel." Kay J. 6/12/2014 - "The beach at this resort is stunning! The rooms are small but who needs a big one when the outdoor is so enticing? Don't think about using your phone and laptop because this resort will not give you a good phone reception and internet. Sto. Nino Resort will make you forget the time and will ease your mind from stress. What I like most about this resort is Rebecca, the owner who will make sure you are well taken care of. Another best thing is their Little Boracay, an isolated beach where you can have your own privacy. " Kay J. 6/12/2014 - "Valle Verde Mountain Resort is not your usual resort. You would be surprised to experience the beauty of nature where you do not have to go anywhere else, but all in one place. The relaxing spring, the beautiful gardens, the breathtaking views of the Lawi Bay, and the wonderful sunset will leave you in awe. The sights and sounds at Valle Verde will stay with you that you will always want to come back. Thanks to Cristy, the owner who was so accommodating and made our stay an enlightening one. " Kay J. 6/10/2014 - "This beach house is lovely! The rooms are clean and beautifully furnished. They have a huge lawn and garden where you can relax and listen to the ocean waves. Jannah Glycel Beach House offers the privacy that you want. No wonder it is frequented by showbiz personalities." Kay J. 6/10/2014 - "Pine Haven Hotel is close to the town and very accessible. The furniture used in this hotel are locally made and that made me admire the locals who made them and Pieter, the owner who designed each piece beautifully. The place is clean and pleasantly comfortable. The owners make you feel like you're part of the family. I'll surely visit again someday." Kay J. 6/10/2014 - "The road to Kenyama Beach Resort can be challenging, but its beach has convinced me to believe that the bumpy ride was well worth it. You could see the serene beach right from your room and that is something you don't get very often. Glen, the guy who welcomed us was accommodating and soft-spoken. The beach at Kenyama is one of the best beaches I have been to." Kay J. 6/10/2014 - "This is the place people go to when they want peace and quiet. They have this huge room at the top floor where you can hang out, marvel at the sight of Guimaras while enjoying a refreshing mango shake. The rooms are charming; the landscape is enticing; the staff is accommodating and Em, the friendly owner will make sure your stay is unforgettable. This is indeed your home away from home. " Anna H. 3/10/2014 - "This is one of the best places to stay in Camiguin. It provides homey feel. The food is great, the ambieance will always lull you to sleep and the personnels are all friendly. They are attentive to your every need. Bets if you book during a low season so you can experience the 'I rented the whole place' feel that we had during our stay. The rooms are big and the bathroom are clean." Vera H. 12/26/2013 - "The water at Emerald Pool wasn't as emerald green as pictures show & what people tell you. Maybe it's because the sun wasn't shining directly into it? It was disappointing but I would give it a second chance & go back to see it on a sunny day. There was a nice, gentle waterfall & a cool, cave-like area to play in. " Vera H. 12/26/2013 - "This is rated as a difficult/strenuous hike. It's about 7 hours round trip. There are a lot of steep steps going up & down. I consider myself to be mildly in shape. My quads were definitely burning going up the steps & my knees grumbled going down the steps. I was able to make the entire hike but I did have to stop a couple times to rest & catch my breath. It also rained during our hike which made the steps muddy & slippery. I slipped on the hike back & tweaked my wrists, so be careful! There was one person in our group that had to stop before they got to the Boiling Lake, their legs started cramping up. But we saw a bunch of younger kids just running up the steep steps and they didn't even look tired. Definitely take a guide with you on this one. Our guide showed us where to get the sulphur mud to put on our faces & arms like a mud-mask. He even boiled us some eggs in the hot pools! Also, take a couple changes of clothes (rain jacket, long sleeve shirt, bathing suit & a towel). It was VERY windy in some spots & after it rained on us, it didn't feel good to be cold & wet. But we did get to soak in the warm pools on the way down, it warmed us up & got us relaxed. Made it hard to continue on the hike, haha. I only recommend going if you are in decent shape & not afraid of heights. " Vera H. 12/26/2013 - "This was a cool spot where you can stand between the Caribbean Sea & the Atlantic ocean. The snorkeling was great! The water was clear & there were tons of fish. Some people in our group went on a hike up the hill. 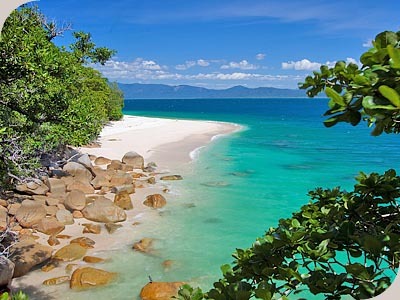 Sometimes you can see sea turtles and dolphins around this area (is what we were told by locals)." Vera H. 12/26/2013 - "This was a lovely & easy hike through the jungle to the ocean. Nothing strenuous on this hike, just great views & awesome tide pools to swim in. Our guide picked us some fruit to eat along our walk & pointed out some flowers & herbs the locals use for medicinal purposes. " Vera H. 12/26/2013 - "This was a great place to snorkel. The bubbles were fun to watch, it did feel like you were in a glass of bubbly champagne. The reef was nice & had lots of fish. Our guide said you can see lots of seahorses here. The beach was clean & safe. There were amenities/facilities close by. There were restrooms, showers, snacks for sale & picnic benches under a shelter. We even saw a pair of iguanas in the trees when we were there. " Vera H. 12/26/2013 - "This is the place to stay at if you want a retreat to reunite with nature. To me, this was paradise. My body felt clean, mentally & physically after staying here for a week. 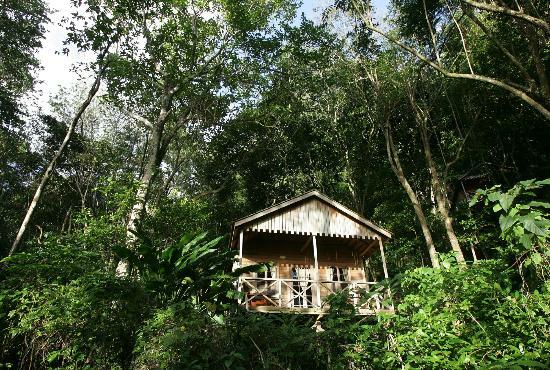 You fall asleep to the soothing jungle noises & the ocean waves. After dark you can see almost every star in the sky. Wake up to beautiful sunrises & eat the freshest & most delicious food in the Caribbean. You can go on hikes through the jungle to see waterfalls and then relax in a hammock by the ocean or on your patio. Talk to the locals and learn about them & you will see why they are proud of their nature island. Jungle Bay gives you the ability to have all this, to feel comfortable in natural surroundings & be eco-friendly with such ease that you don't feel you are deprived of anything. Everything you need is right there. The entire staff is very friendly & are eager to make sure you are enjoying all that Dominica has to offer. Jungle Bay has arrived at the perfect formula for eco-luxury. Dominica is one of world's best kept secrets. Jungle Bay is the perfect place to explore & experience this unspoiled, natural gem of an island. You will feel like you are living a dream & will not want to ever leave. " Brion H. 12/21/2013 - "Cottages are amazing, like living in a real tree house in the jungle. You feel like you are in the middle of nowhere, but you have all the amenities you need (great bed and shower, excellent food and drinks, tour guides and transportation to places you need to go). They are very eco-friendly, so you can feel good about staying here. If you are thinking of coming to Dominica, stay here and have them pick you up from the airport. You don't need a rental car (wish we didn't get one), and they have many activities planned every day for you to choose. They drive you there, and show you around. The tour guides are excellent and are from Dominica. They even drove us to the health clinic and pharmacy to get a prescription at no cost. Jungle Bay is trying to help the local community, so by staying here, you are also supporting the community and the environment." Brion H. 12/21/2013 - "The pictures of this place made us want to come to Dominica, but it wasn't as amazing as I was hoping. Still very cool to see. This is one of the most popular places to visit on the island, so there are many people in the pool taking photos (popular spot for cruise ships due to short walk). On the day we were there, the water was grey and it was too crowded. I would still recommend you visit, but also visit Victoria Falls (less crowded and larger falls)." Brion H. 12/21/2013 - "This is a difficult hike to get to (through Valley of Desolation), but it's worth the effort. It reminded me of a larger version of the mud pools at Yellowstone Park. You stand way above it, so you can see the entire pool, once the wind shifts and the steam clears." Brion H. 12/21/2013 - "This was the best waterfall we visited, way better than Emerald Pool. A cool but challenging hike through the river (bring your water shoes) and over large boulders. The fall is very powerful (feels like you are in a hurricane), but you can swim pretty close to it. Lots of other beautiful pools and scenery along the hike." Brion H. 12/21/2013 - "This was really cool. Similar to Yellowstone Park (USA). The metallic colors were very cool (I wish my camera battery hadn't died). You'll pass through it on your way to Boiling Lake. After you pass the valley, stop at the next little waterfall and relax in the "hot tub"." Brion H. 12/20/2013 - "Loved the hot springs, nice and relaxing! The waterfalls were very cool to look at, but you can't get very close to them. As you're driving towards it, you have to go up a steep hill that is unmarked, but keep going, you are still on the right path (was confusing for us)." Vera H. 12/19/2013 - "We stopped at the Bubble Bay Spa to have a picnic after snorkeling at Champagne Beach. Bubble Bay was a fantastic little natural hot pool. You get a great view of the bay & the mountains while you soak in the calm,warm waters. The water & the beach were very clean. I overheard other people talking about another hot pool farther up the mountain in Soufriere. But they said it was a bunch of cement pools that seemed dirty. I'm glad we went to the Bubble Bay Spa :D"
Vera H. 12/19/2013 - "Take your bathing suit & water shoes when you go to this place. Also, make sure to get there early, before 10am if possible. This is a popular place for the people on the cruise ships to go to. I didn't know this when I went there around 12pm and it was PACKED with tourists! I still enjoyed soaking & relaxing in the hot pools. You are surrounded by beautiful tropical trees & foliage. " Vera H. 12/19/2013 - "This was my most favorite hike! It was a little difficult in the sense that you need to have good balance & agility to maneuver over some of the slippery rocks & cross through the river a couple times. You will get wet! I was soaked up to my waist. And once you make it to the thunderous waterfall, it is pure bliss. Victoria Falls is even more beautiful up close. We swam in the water next to the waterfall but you can't get under the waterfall, it's very powerful. It felt like we were in a tropical storm, haha. We were all laughing trying to get as close as we could, but the force of the falls pushes you away. Victoria Falls is a must see." Vera H. 12/19/2013 - "This is a decent trail that you can go on without a guide. It's a great way to get your heart pumping if you're looking for some exercise. I was scared at first to go down the difficult part (where you have to use a rope to get down a slightly steep area). But it wasn't that bad once I got going. There are great views at the end of the trail. I could've sat there for hours watching the giant waves roll into the rocks & the shore. When you are going back, keep an eye out for markers that help point the way. When making your way back to Jungle Bay, after the rope climb back up the steep area, keep to your right to get back on the trail." Brion H. 12/10/2013 - "Didn't think this trail would be much, but we were pleasantly surprised! It took about 20-30 minutes, and the views are magnificent at the end. Nice waterfall, volcanic rocks, huge waves and great views of the island." Brion H. 12/9/2013 - "Lots of fish, more than most places we've snorkeled. The bubbles from the underground heat are cool to see as well. The water on the Caribbean side is very calm and warm, which makes it ideal for snorkeling." Brion H. 12/9/2013 - "Snorkeling was very good. Go out towards the point on the Caribbean side, and then come back towards the white buoy. The sea wall drops off so deep that you can't see the bottom, only a bright blue glow. Very cool!" Brion H. 12/9/2013 - "Mix of hot and cool water is nice. I wish it was a little deeper. Hard to get to, but once you hit Soufrieres, it might be easier to walk there than drive. Use the church as a landmark. Did not order any drinks or get a massage." Brion H. 12/8/2013 - "Worth the 45-minute hike! Take your wet shoes, as you will need to cross a stream or two. Beautiful views of the bay and a waterfall. There are also three tide pools in the volcanic rocks that you can swim in. Awesome views of the rest of the island. " Brion H. 5/19/2013 - "Once we finally found the entrance (couldn't find it on our first trip), it was awesome! Very cool sand, nice view of the water, neat cliffs, and very secluded. A must see!" Brion H. 5/18/2013 - "This is actually very cool. A bunch of huge bolders in the middle of an open area. It has an erie feel about it, since it was an old burial ground. Only takes about 5 minutes to stop and see, so add this to your list of places to visit"
Diane D. 5/18/2013 - "Plenty of parking across the street....the best places are the ones you least expect ... My husband had the funky chicken sandwich...chicken with lettuce, tomato a cilantro lime sauce on a sub like bread. Very generous serving..it was deliciosa....and I had pita bread with 3 sides....a sweet potato dip, roasted red pepper hummus and a cheese/corn dip....superb...we brought 1/2 of it home with us for later....again very generous portions....this is a must stop place. Two tables and chairs behind the food truck." Brion H. 5/18/2013 - "This is my second time on the bio bay. This is a 'must see' for anyone visiting Vieques. One of the best bio bays in the world, and one of the few that illuminate year round. The glowing effect is hard to describe. It's better to just visit yourself and experience it first hand." Diane D. 5/18/2013 - "They were prompt at picking us up to go to the Bay. They were very helpful especially with a 56 and almost 60 year old....the Bay is phenomenal...a great lesson in biology and photosynthesis....we were in clear kayaks, so we could see the plankton through the sides and bottom. It was a semi cloudy night, so we had a lesson in the constellations besides the bay." Brion H. 5/18/2013 - "We were happy with their service. The guides were funny, educational and friendly. We took the clear kayaks on the Bio Bay, which is better than the regular kayaks (highly recommended)." Brion H. 5/18/2013 - "We didn't have much desire to see this during our first trip, but I'm glad we did go through it the 2nd trip. The view from the top is outstanding. You can see all across the island, and over to the mainland. The guns on the walls are cool, along with the detail that went into building the wall." Brion H. 5/18/2013 - "Not that exciting. The boardwalk takes you down close to the lagoon, but not far enough out of the trees to be able to see the entire lagoon. If it would have extended another 20 feet, you could have gotten the full view, and that would have made it much better." Brion H. 5/17/2013 - "Excellent food and service. Clean and well maintained. Great place to stop for coffee and espresso. Restaurant offers outdoor seating under roof." Diane D. 5/17/2013 - "Great place to dine. The Bistro served delicious entrees and side dishes. Generous portions, flavorful, presented well. Wait staff was friendly and attentive. The environment was clean and comfortable. People came in for orders to go...seemed like locals. I had sweet plantains, sautéed vegetables..my husband had beans and rice, & lchicken breast. Was excellent. Seating was available inside or outside...."
Diane D. 5/17/2013 - "My husband ordered coconut shrimp and I had the organic salad. Both excellent choices. Very nice and elegant place. Very friendly staff. We will go back..."
Brion H. 5/17/2013 - "This is our 2nd trip and we enjoyed it again! We stayed at La Gaviota with our family (4 adults) and it worked out great. There was a divider to separate the living room from the kitchen, which was nice. Waldo is a great host. It's nice to know he is around to help out, if anything happens, or you have questions about the island." Brion H. 5/16/2013 - "Food was outstanding. This place was highly recommended, but I was still pleasantly surprised. I ordered the fried plantain stuffed with chicken and rice. It also came with a tasty herb sauce. Everyone was happy with their food. Great ambience with the open windows." Diane D. 2/12/2013 - "Always music, drinks and food available at the Sunset Bar. It's the 'hopping ' bar on the beach." Diane D. 2/11/2013 - "We dined at Karakter two times during our stay in St. Martin. We ALWAYS had great service and the food/appetizers were outstanding." Diane D. 2/11/2013 - "We spent dusk at La Bamba. They made the best Frozen Mojitos." Diane D. 2/11/2013 - "Our group visited Casino Royale one afternoon. One member of our group won $1,000 on one of the slot machines. So, we really enjoyed playing at the Casino Royale. " Diane D. 2/11/2013 - "Our group of 8 thought Ethnic was the best place to enjoy the beach, sand, food and sun. The owners and bartenders were stellar at keeping us hydrated, making sure we had everything we needed and great conversations were had." Diane D. 2/3/2013 - "Incredible pastries, coffee drinks and hospitality." Vera H. 7/14/2012 - "Without a doubt, this was the best all around place I've ever stayed at. We were welcomed by Waldo and given a tour of the "Pitirre" and the surrounding lush, tropical gardens. In the apt, Waldo has compiled a notebook filled with info. about the island (places to eat, things to do, etc.) and also tells you about all the amenities that are available to the guests. Waldo is a fabulous & generous host that knows how to make guests feel comfortable, he has thought of everything possible to make your stay pleasurable. I will definitely recommend Bird Nest Studios to and would love to come back and stay again." Brion H. 7/14/2012 - "Excellent food and atmosphere. Unique dishes that were delicious." Brion H. 7/14/2012 - "We didn't stay here, but we did get their inn confused with another one. Their help desk staff called around to find our reservations. They were very friendly and helpful!" Brion H. 7/14/2012 - "Nice and secluded, away from the other beaches." Brion H. 7/14/2012 - "Cool items for sale, worth a stop in, if you're in the neighborhood"
Brion H. 7/14/2012 - "Cool store with lots of different art to choose from and a wide range of prices, so you should be able to find something you like." Brion H. 7/14/2012 - "The dried organic fruit we bought was good, but we were expecting more items for sale inside." Brion H. 7/14/2012 - "Food was delicious, and service and atmosphere was terrific! One of the best places we ate on Vieques." Brion H. 7/13/2012 - "Eric did a great job of making it a memorable experience. The night was perfect: clear skies, bright stars, new moon and not many people on the water. " Brion H. 1/1/2012 - "Pretty awesome water and scenery. I understand why it gets the high rankings. You'll find other beaches with similar sand and water clarity, but this beach has everything all in one (kiosks, showers, camping, accessibility, size, army tanks, etc). Very easy to get to from the ferry. You can easily make a day trip out of it from Fajardo." Brion H. 1/1/2012 - "A nice hike through the forest, with very nice views of the wildlife refuge and Puerto Rico mainland. Takes about 10-20 minutes depending on your pace. We didn't snorkel, so I don't know how good it is." Brion H. 1/1/2012 - "You can snorkel here, but we did not. We took our bikes from the town area, and it didn't take too long. Stop by if you don't want to go to Flamenco, or have some free time." Brion H. 1/1/2012 - "It was pretty cool, but we had a really hard time finding the road to get here. One sign said Barracks, but it was pointing at the wrong road, and in the wrong direction. We went inside one of the bunkers, and it was partially filled with old TVs and computer monitors. It felt a little creepy to be there, as these have been abandoned for years. Strange, but worth the trip." Brion H. 12/31/2011 - "It is a great price, but getting tickets is a pain (must be done in person), the boat can make you seasick, and others have complained about getting bumped or being sold-out or being delayed, so don't make your plans based on the stated schedule. 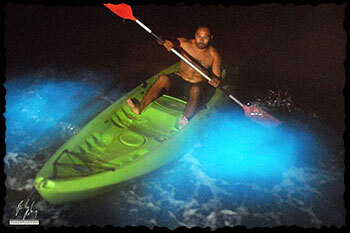 Our personal experience from Fajardo to Vieques was good." Brion H. 12/31/2011 - "If you want to get from Vieques to Culebra, I would not advise taking the ferry. Spend the extra money and fly. There is no direct route between the two islands, you have to go back to Fajardo, so that's 3+ hours on the boat. The flights aren't direct either, but only 20-30 minutes in the air for about $70 per person. We took a late boat back to Fajardo, and caught the sunset, which was nice. " Brion H. 12/31/2011 - "Totally secluded, beautiful water, like your own private island! That's me in the photo, just a quick swim away..."
Brion H. 12/31/2011 - "It takes longer to get here, so it's less crowded, and just as good as Playa Flamenco (without the food and restroom options). We took a taxi to get there ($15 each way). We actually spent most of our time past the rocks on the west side. Playa Brava looks too far to walk from here, but Playa Larga Beach looks reachable." Brion H. 12/31/2011 - "Not a lot of pizza options on the island, but this place is amazing! We had the delicious "Boricua", and it was so big we had to take it home as leftovers. Nice clean atmosphere and friendly staff." Brion H. 12/31/2011 - "These are pretty cool to see, but I don't think it's good to have metal corroding into their crystal clear waters. I think they should move it out of the water, and onto a hill, like the other one. Lots of cool artwork and graffiti. If you look inside the tanks, all you see is beer cans and bottles. Must be a popular spot to meet up with friends." Brion H. 12/31/2011 - "Good selection of pizza, puerto rican and American food. Prices are very reasonable, considering they could charge more since there are no other options around the beach area. It's great having something so close after a day at the beach!" Brion H. 12/30/2011 - "They don't promote this much on the island, but the roots are huge, and worth the drive. Easy to find right of the highway, if you are looking for it, but don't expect to see any signs for it." Brion H. 12/30/2011 - "Delicious food and desserts. Great atmosphere overlooking the water." Brion H. 12/30/2011 - "I haven't seen it up close, only from the road. You can't get past the security gates as a citizen, and I don't think they give tours." Brion H. 12/30/2011 - "If you are adventurous, you can walk through the tunnels and ruins, but it was getting dark, so we opted out for fear of getting lost." Brion H. 12/30/2011 - "The perfect food after the beach. The burritos and tacos are awesome, with many veggie options. They also have beef, chicken, tongue (yes that's correct), pork belly, carne asada, carnitas, tuna, grouper, blackened tofu, and more! Highly recommended! We ate there twice in our 2 days on the island." Brion H. 12/30/2011 - "Great prices and location. I had the french toast and iced coffee, and it hit the spot!" Brion H. 12/30/2011 - "I would call this a town square, not a park. I guess it has benches, so technically it is one, but there is little grass here. Anyways, the photos attached were from the winter holiday, and they used water bottles painted red and green to create the wreathes and tree, so I thought that was pretty cool. There was a stage setup, but we didn't watch any performances." Brion H. 12/29/2011 - "We didn't eat there, only had some drinks. But the menu looked good, and we heard from locals that it was a good spot to eat." Brion H. 4/3/2011 - "A little tricky to find, but the abundance of green moss made it very surreal." Brion H. 4/3/2011 - "It wasn't too bad of a walk. Unfortunately, it was closed when we got there, so we couldn't read the inside displays with the history of the lighthouse"
Brion H. 4/3/2011 - "Despite the name, there were no naked people there, but I'm guessing it's always a possibility. The beach is made up of tons of crushed coral from the Great Barrier reef. 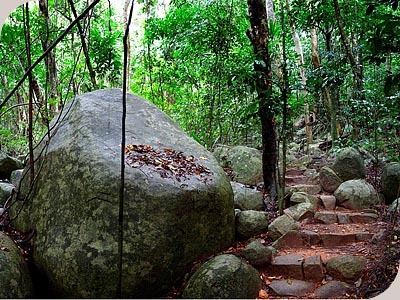 Great view of the Cairns protected land"
Brion H. 4/3/2011 - "It was quite a walk to the top. Great exercise. We had to go the long route towards the lighthouse. The shorter route starts behind the hotel, but it wasn't safe to travel that day." Brion H. 4/3/2011 - "Great hospitality and staff. They held our luggage while we waited to check in (you arrive early in the morning). They also watched our bags, since you have to check out before the boat arrives. Rooms were excellent. We stayed in a studio (cheapest option), but it was really nice and worth the money. Maybe next time will go for an upgrade." Vera H. 4/3/2011 - "The rooms are modern and clean. The staff was very accommodating and will hold your luggage if you can't check into your room. If you spend the night, be prepared to stay the whole day, since there was only one ferry that leaves per day (around 5pm). The restaurant was very good. The food was a little pricey, but tasted fresh. Movie night was held in the small theater every night, and had options for kids and adults. The laundry was free, you only had to pay for detergent. We also liked the fish feeding off the pier, which happens once or twice daily. They will also help reserve a day trip, and a ferry will pick you up at the resort and take you to the Great Barrier reef, and get you back in time for the trip back to the mainland."